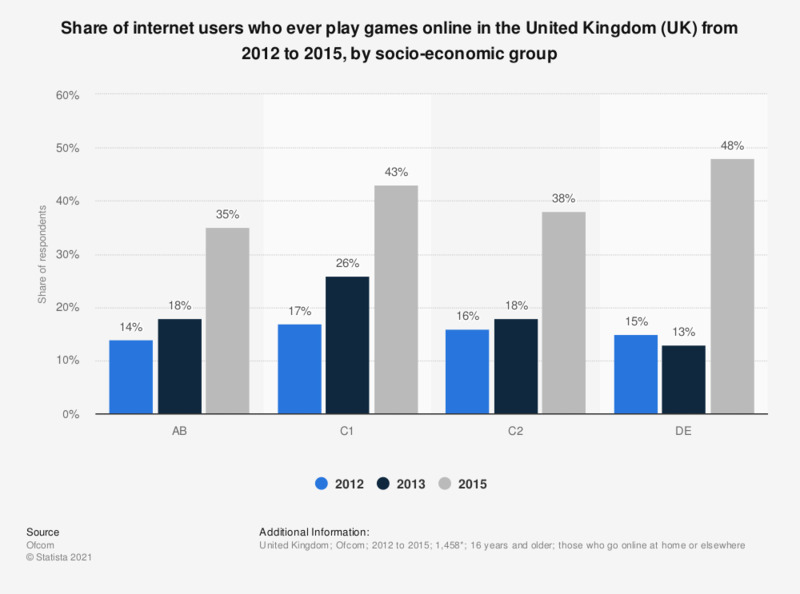 This statistic illustrates online gaming penetration in the United Kingdom from 2012 to 2015, by socio-economic group. In 2015, 43 percent of respondents in the C1 socio-economic group reported playing games over the internet. * n (2015) = 1,458. ** September to October 2015 was the date of the most recent survey. Figures for years previous to 2015 were published earlier by the source. Figures for 2014 were not published.